Ms Rudd, who has a wafer-thin 346 vote majority in her Hastings and Rye seat, was previously thought to have ruled herself out of any future contest. Mrs May is planning to step down after the terms of Britain’s departure from the EU - ideally via the ratification of her withdrawal agreement. Many Tory MPs are known to be planning to take a tilt at the leadership, with former Foreign Secretary Boris Johnson believed to have at the backing of influential European Research Group chairman Jacob Rees Mogg. 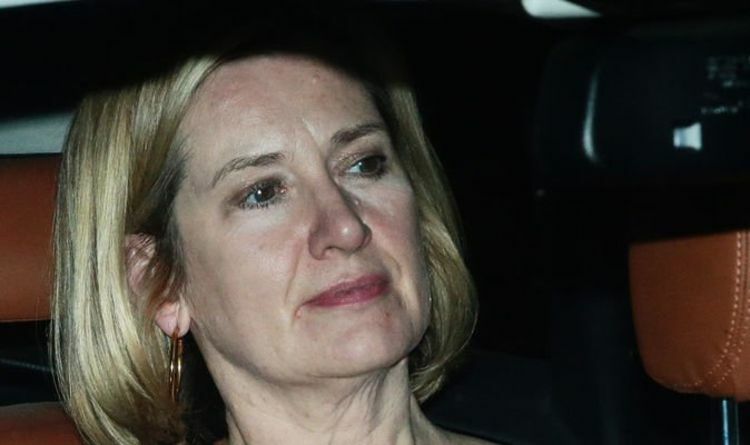 Pushed by BBC Radio 5 Live’s Emma Barnett about her own ambitions, Ms Rudd - who quit as Home Secretary in the wake of the Windrush scandal - said: “I am going to continue to support the Prime Minister. “She has said, as you rightly say, that she is going to leave after the Withdrawal Agreement or the first stage is through. “Frankly I think what we should all be doing, which is what I am doing, is trying to support her, making sure that we do just that. She insisted she was “not particularly working on” a leadership strategy. However, she added: “I think what I have said is I am not planning to run. Asked about rumours she is planning on standing on a joint ticket with former foreign secretary Mr Johnson, nicknamed Bamber, Boris and Amber, by the press, she said she was "not supporting anybody". And she called his comments about Muslim women who wear a full face covering "completely inappropriate". Asked if this would disqualify him from being a potential running mate she said "the area we really disagree on is how we leave the European Union", saying the One Nation caucus of Conservative MPs she started with ex-education secretary Nicky Morgan would not back a candidate who advocates a no-deal Brexit. A crowded field is also thought to include current Foreign Secretary Jeremy Hunt, former Brexit Secretary Dominic Raab and Environment Secretary Michael Gove. If none of the choices came up to scratch, she acknowledged she might then throw her hat in the ring. Bookmakers Coral have Boris Johnson as 4-1 to be the next permanent Tory leader. Mr Raab and Mr Gove are 6-1 and Mr Hunt is 8-1. Ms Rudd is a long-shot at 33-1, the same odds as Mr Rees-Mogg.